Hello there! 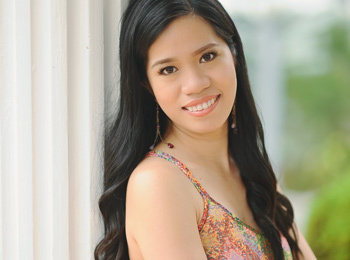 I’m Melai and I’m happy you stopped by my blog! I’m originally from Manila, Philippines and living an expat life with my amazing husband Gerald (also known as “Ge” on the blog) in Singapore. Click here for more about our love story. Writing is my first love. I have never considered myself a writer, but I know that it is an art form from which I can express myself better. I love deep, intellectual conversations. I have a weakness for chocolates and a good coffee. Someday, I wish I could make art lattes and those cute foam art creatures. I’m more of an introvert than a socializer. I love going out and being around with people. But I am happy staying at home too, hanging out with a good book or my favorite korean dramas. And most importantly, I love Jesus! I was broken but He did not give up on me. He saved me. He transformed me. I was baptized as a Christian and everything changed from then on. Jesus is my Lord and Savior. That will never change. I love to write about travel, the good and the bad of life, and most importantly, how God is at the center of it all. My hope for this blog is to inspire others to discover their purpose, step out of their comfort zone and live in the joy of who God created them to be. I write to celebrate life, to remind me of the roads I traveled, the people I loved and the moments that made me smile. I write to inspire and make a difference, to share something back to the world. It might not seem like it when the efforts and outcomes are small, but I believe each one of us creates little miracles every day, by doing what we do and being who we are. And I write to honor God, to nourish this dream I believe He has written in my heart. It’s not 100% happening, but I won’t stop trying.